Copenhagen takes the number four spot in Monocle’s 2016 top 25 most liveable cities ranking and remains 24th in the latest Mercer’s cost of living survey. 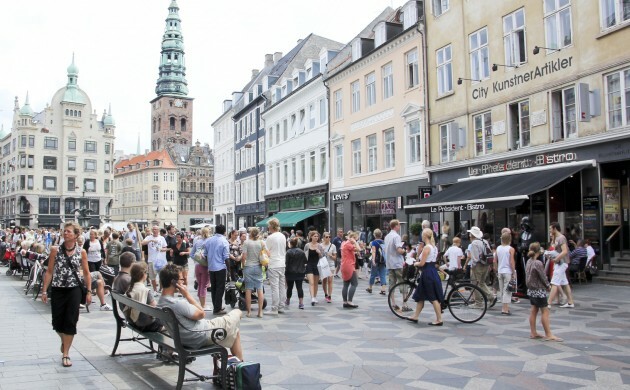 Denmark’s capital has markedly improved its position in the global quality of life survey, soaring up 6 places compared to last year’s results. Monocle magazine has described the city as “innovative and inspiring” and attributed its top-performance to bicycle-friendly infrastructure, wide range of attractions, including harbour baths, several Michelin star restaurants and seamless urban planning. “It seems the wheels – and not just those of the city’s 1,860 pearly white e-bikes – are turning,” wrote the magazine. Copenhagen – beaten only by Tokyo, Berlin and Vienna – outperformed other Nordic capitals – Stockholm (10), Helsinki (12) and Oslo, which did not even make it to the list. The magazine evaluated each city on a combination of international connectivity, climate, public transportation, tolerance, environmental issues and access to nature, urban design, business conditions, medical care and safety. Meanwhile, Copenhagen’s position among the world’s most expensive cities for expats remains unchanged at 24. Asian capitals dominate Mercer’s cost of living rankings this year, with Hong Kong at the top, followed by Angolan capital Luanda, Zurich, Singapore and Tokyo. Oslo has plummeted from last year’s 38th position to number 59, Helsinki moved down three places to 64, while Stockholm propelled up the rankings from 106th place to 84th. Some of the cheapest cities for expats on the list include Bishkek (Kyrgyzstan), Windhoek (Namibia), Karachi (Pakistan), Tunis (Tunisia) and Skopje (Macedonia). The survey includes 209 cities across five continents and compares the costs of more than 200 items such as housing, transportation, food, clothing, household goods, and entertainment. Mercer uses New York City as the base for all comparisons and measures currency movements against the US dollar.